Dear Santa, I really want a trip to Le Guanahani Resort in St Barts! Please! I have been really good this year. I have tirelessly taken my kids to their numerous after school activities 5 days a week, I have attended church on a “much more” regular basis, and I have desparately tried to be patient with my girl’s endless fighting amongst each other. Now, its my turn! 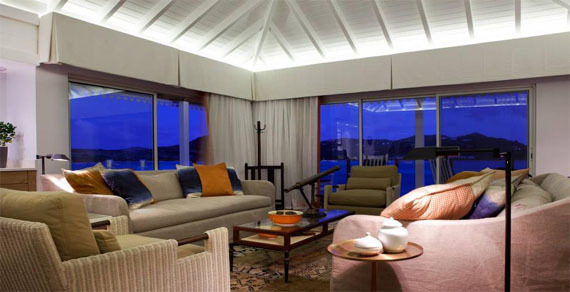 I really really want a trip to St. Bart’s to stay at the fabulous Le Guanahani Resort. Please, Please, Please!!! In fact, the Le Guanahani Resort even offers a kids club titled “the Kindergarten” for ages 2-6. Now, that is hard to find in any location! Since I am traveling with a little one, it sure would be nice to have a couple of quiet hours on the beach while he is having fun with the Le Guanahani kindergarten nannies. Yes , it’s always an option.